Oh, don’t thank him—he was just doing what anyone else would have done! 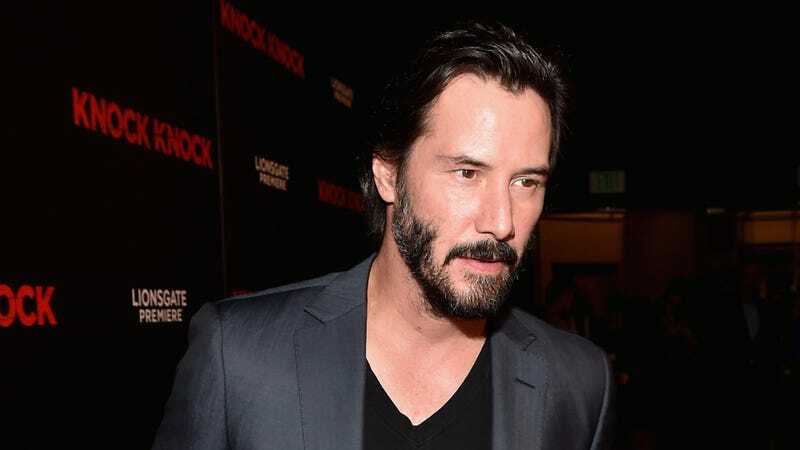 That’s what I assume Keanu Reeves would have to say about rallying his fellow passengers to get to Los Angeles after their flight had to make an emergency landing in Bakersfield, California. My colleague Hazel Cills said no one should get in a van with Reeves, given his role in the movie Speed. This story has a happy ending, though, as they ended up at Carl’s Jr., according to Rea’s Instagram. Rob Kardashian is “relieved” to not be paying Blac Chyna child support anymore, as part of a new custody agreement. “He just wants what is best for Dream,” a source told E! News. Kardashian will now get more time with their daughter, Dream Kardashian, although he and Chyna are splitting custody “50/50,” according to the source. This concludes a long-simmering conflict in their relationship, as Kardashian said back in November of last year that he could no longer afford to pay Chyna $20,000. Both Kardashian and Chyna are still responsible for paying for things that come up during their respective times with Dream, and will have to evenly split the cost of other things, like school.